Julio Ruiz was called home by his Lord and Savior Jesus Christ on Saturday, March 23, 2019. He was 83 years old. He was born in Corpus Christi, Texas, and was raised by his grandfather, Andres Ruiz. After graduating from Roy Miller High School, he enlisted in the United States Airforce (USAF) which he served for 20 years before retiring. During his service in the USAF, he played baseball and was known for striking out many a player with his left-handed fastball pitches. 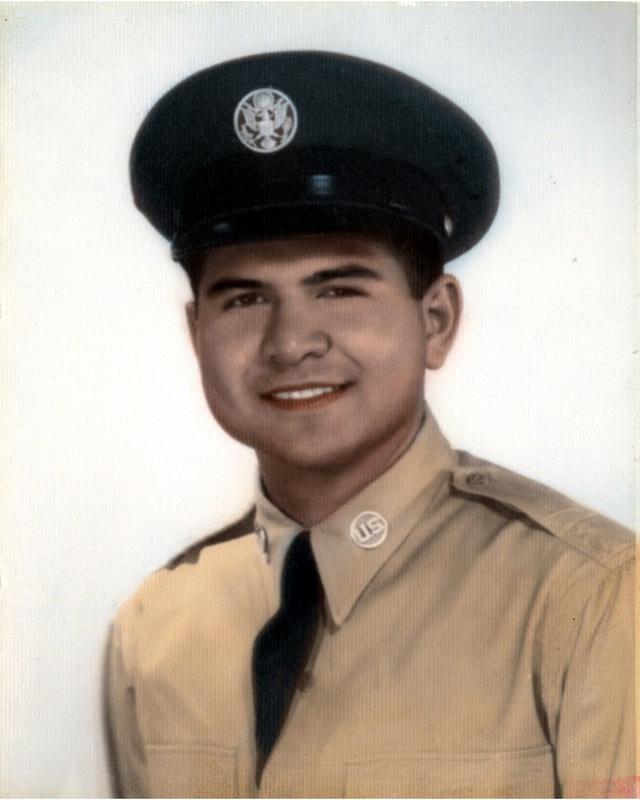 Julio received numerous awards and medals during his military career. He fought next to his USAF battle buddies in the Vietnam War. He married the love of his life, Elisa, shortly after she graduated from high school in 1958. He was then employed by Curtain Corner Accent Shop where he was a master upholsterer. Julio gained recognition by word of mouth and would often show his children the houses on Ocean Drive in which his craftsmanship could be seen. People from Port Aransas, Rockport, and even as far as San Antonio sought him out for his masterful upholstery skills. Julio will be remembered for his peaceful nature, devotion to family, witty responses, and for his ever-present smile. He always took time to listen to his family and made them feel important, loved, and safe. He was a wise and humble man who lived simply and loved generously. He was preceded in death by his parents, grandparents, and grandchildren Simon K. Ruiz, Lacey M. Ruiz, and Adan R. Ruiz. Julio is survived by his beloved wife of 61 years, Elisa Ruiz; son Raul Ruiz (Charlotte); daughters RoseMarie R. Hamer (Chris); and Rebecca Washington (Joe); grandchildren Jaime L. Ruiz, Alexandria Ruiz, Lisa Jane Wille, Mathew P. Musquiez, Thomas A. Musquiez, Trevor A. Hamer, Robyn Eaves (James), Russell Anthony (Tamara), and Kristen Minneyweather (Dwight); nephew Alfredo Ruiz (Martha); nieces Monica Perez (Albert), Josie Narvaez (Orlando), Angie Vasquez (Oscar), Irene Lugo, Elsa Graham (Glen), and numerous other nieces and nephews. Visitation will be held from 5:00 p.m. to 7:00 p.m., Thursday, March 28, 2018 at Seaside Reid Chapel; 4357 Ocean Drive.